You need one of Homebrew or MacPorts to install ImageMagick. If your Python in not installed using MacPorts, you have to export MAGICK_HOME path as well. Because Python that is not installed using MacPorts doesn’t look up /opt/local, the default path prefix of MacPorts packages. You could build ImageMagick by yourself, but it requires a build tool chain like Visual Studio to compile it. The easiest way is simply downloading a prebuilt binary of ImageMagick for your architecture (win32 or win64). Double check your Python runtime, and ensure the architectures match. A 32-bit Python runtime can not load a 64-bit dynamic library. 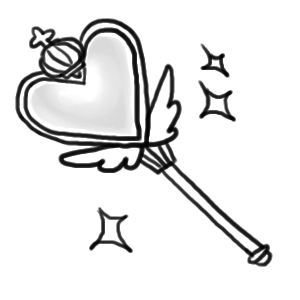 Note that you have to check Install development headers and libraries for C and C++ to make Wand able to link to it. 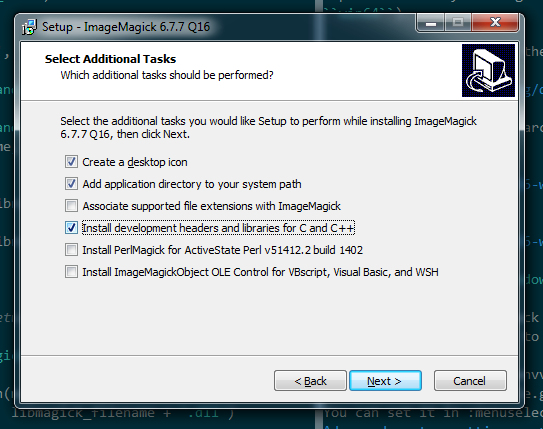 Lastly you have to set MAGICK_HOME environment variable to the path of ImageMagick (e.g. C:\Program Files\ImageMagick-6.9.3-Q16). 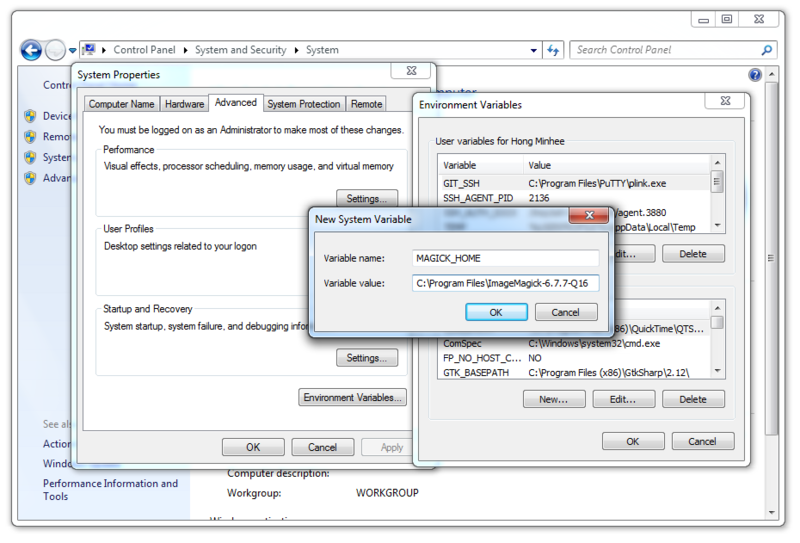 You can set it in Computer ‣ Properties ‣ Advanced system settings ‣ Advanced ‣ Environment Variables…. Although Wand tries searching operating system’s standard library paths for a ImageMagick installation, sometimes you need to explicitly specify the path of ImageMagick installation. In that case, you can give the path to Wand by setting MAGICK_HOME. Wand respects MAGICK_HOME, the environment variable which has been reserved by ImageMagick. Previous: What’s new in Wand 0.5?